Thanksgiving is a gateway holiday. Now that you’re past it, you are faced with myriad holidays that are ripe for family gatherings full of mouth-watering goodies and gift-giving opportunities. You need to make sure your kitchen is ready, should one or many of those gatherings make their way to your home. No, now is not the time to start a full-on kitchen renovation. The time to start that was likely back in the spring. But you can take the time now to consider quick upgrades that will make a delightful impact. Upgrade your appliances: Black Friday offers a great opportunity for families to go out and buy new appliances at low prices. Scour the Web and those newspaper inserts for the greatest deals, then go shopping! 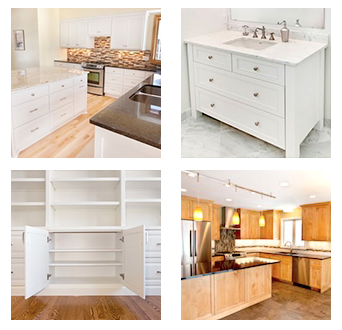 Replace cabinet hardware: Most kitchen cabinet upgrades take time. Thankfully, this one doesn’t. Stop by your local hardware store and upgrade to new pulls or knobs—consider getting stainless knobs to match your new appliances or choosing more artsy pulls for a more decorative look. Update your countertops: Several manufacturers can turnaround a custom-cut slab for your countertops in a short period of time. 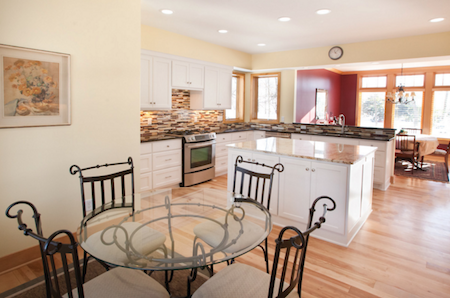 Work with your general contractor to make the right measurements and order from the right source. Paint the walls: Add a new coat of paint to bring a fresh look to your kitchen. The darker shade paint you go, the smaller your room will feel. So stay bright if you have a small kitchen! Deck the halls: A new painting or unique piece of art can quickly become the discussion piece you’ve been dreaming of. What’s Your Favorite Fast Kitchen Upgrade? Did you finally replace that outdated kitchen faucet with a new touch faucet with an extra-long neck? Or perhaps you worked with a custom cabinet maker to make and install custom inserts for added storage? Whatever it was you did, we want to hear about it! Share your updates with us on Facebook or Pinterest.